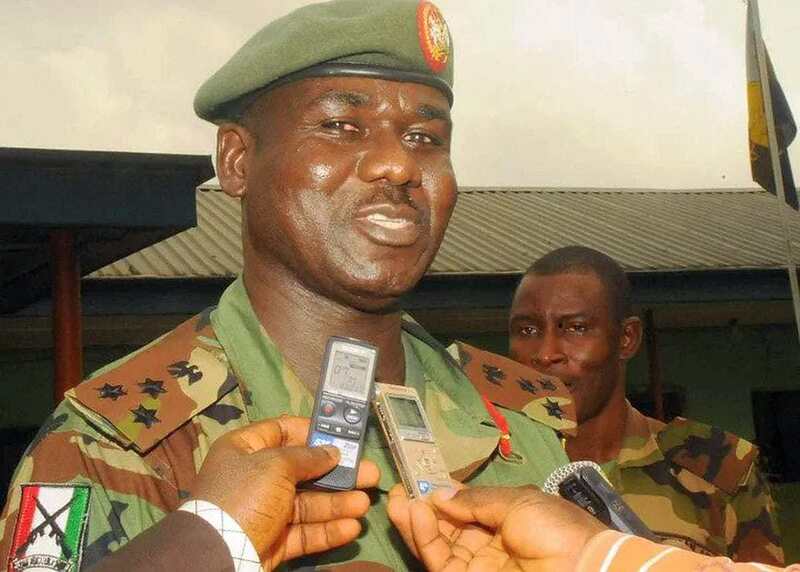 The Chief of Army Staff, Lt.-Gen. Tukur Burutai, Monday charged Regimental Sergeant Majors (RSMs) to ensure discipline at all times in units and barracks. He maintained that regimentation and discipline are the core principles of the Nigerian Army, in which the tradition, ethics and customs of the army are enshrined. Burutai, who was represented by the Chief of Army Administration, Maj.-Gen. Idris Alkali, gave the directive while declaring open the 2017 Regimental Sergeant Major Convention at the 82 Division of the Nigerian Army, Enugu. The theme of the three-day convention is: “Strengthening the Framework for Discipline and Regimentation for Professional Responsiveness in the Nigerian Army’’. The COAS, further noted that the army demanded a clear-cut professionalism and dedication to duty from regimental sergeant majors. his words :“The Chief of Army Staff (COAS) demands improved performance from the regimental sergeant majors. “At all times, you must uphold high regimentation and discipline in your various units and barracks. “As you know, regimentation and discipline is the core principles of the Nigerian Army, in which the tradition, ethics and customs of the army are enshrined,’’ he said. The Chief of Army Staff further charged them to act as a father to soldiers as well as custodians of their units and barracks. “You must ensure that you extend what you learnt to your soldiers and all those under you; since if the knowledge dies with you it is a waste,’’ he said. Earlier in his welcome address, Maj.-Gen. Adamu Abubakar, General Officer Commanding (GOC) of the 82 Division, averred that the “regimental sergeant majors is the most effective link between officers and soldiers’’. “Without discipline, personnel will not be able to key into the COAS vision of having a professionally responsive Nigerian Army in the discharge of its constitutional roles,’’ Abubakar said. He advised the participants to utilize the teachings in the convention to fashion out how best to perform their roles in the interest of the Nigerian army and the country at large. “You are expected to pass down the knowledge gained in this convention to your troops in your various units and barracks,’’ he noted.